Late of Plover Street Taree. Passed away peacefully on Saturday 30th March 2019. Beloved wife of Percy (dec). Loving mum of Narelle & Greg, Janette & Peter, Pauline & Terry, Libby & Peter. Devoted Grandma of Mark, Christopher, Rebecca, Emma, Melissa, Kylie, Erin, Brad and Great Grandma to her many Great Grandchildren. A special sister of John (dec), Basil and Colin. Will be dearly missed by all her extended family and friends. 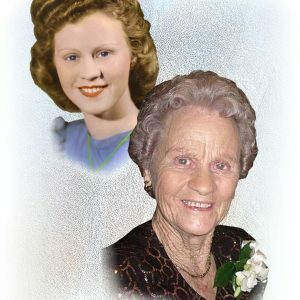 The relatives and friends of the late Aileen Wisemantel are respectfully invited to Celebrate Aileen’s Requiem Mass at Our Lady of the Rosary Catholic Church, Albert Street Taree, commencing at 11.00am on Tuesday 9th April, prior to her private interment in Dawson River Cemetery.